Mahshid Abbasi is a psychotherapist and family counselor with more than 15 years of experience in clinical psychology, in Iran. She holds a Masters Degree in Clinical Social Work from Wilfrid Laurier University of Waterloo and is a Professional Member of the Ontario College of Social Work practices and Ontario Association of Social workers. 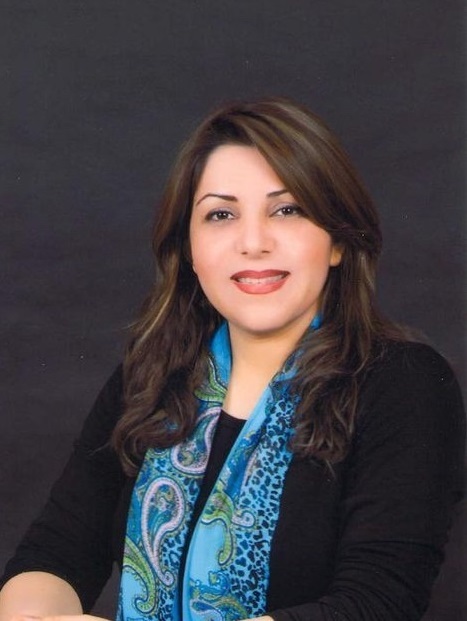 While in Iran, Mahshid performed a considerable amount of research on her preferred technique, Attachment Theory and close unfinished business for which she received her honorary doctorate and part of her research, was published in a monthly bulletin called Pezeshk & Jameh. Mahshid provides counseling within a safe and conducive environment, to adults, couples, and children. She has worked successfully with clients seeking support with personal growth, anger management, anxiety, coping with loss, child sexual abuse, relationships, life crisis and many other personal issues. Her approach has been described as down to earth, engaging, non-judgmental and she has positive messages about love and happiness. I am dedicated to supporting individuals and families to achieve positive changes in their lives by doing so in a positive and nurturing manner. our srvices include: Individual counseling, Couple therapy and pre marital counselloing. is available to individuals and couples via telephone, video conferencing, and in face-to-face sessions. Copyrights ©2019: Toronto Family Counselling Services.